Homecoming or the big game, assembly or the drama club’s production of Romeo and Juliet, it’s almost time to set up fall and winter school events. With school soon in session, your to-do list is miles long, but getting your school event ticketing in order now will save you time later on. 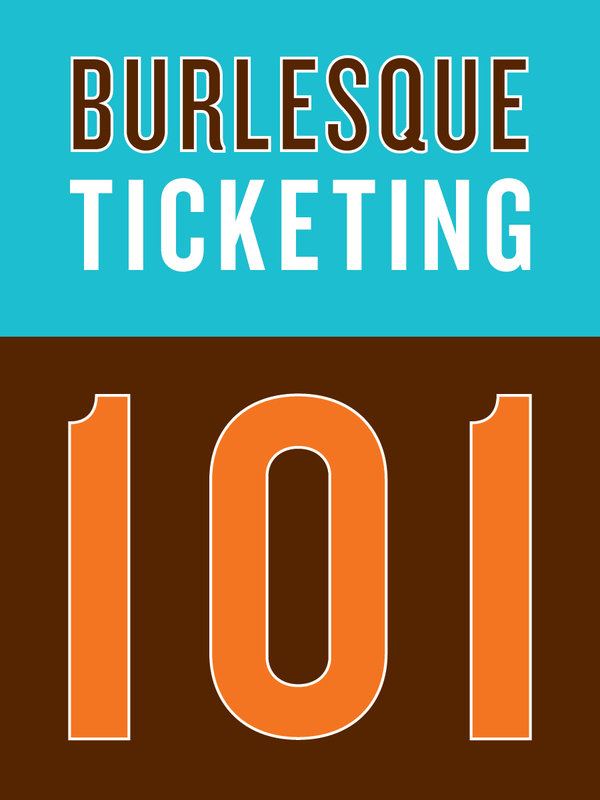 Our guide will teach you how to set up and promote fundraisers, dances, recitals, theater and more. Online ticketing school events streamlines the process and keeps all your events and tracking in order. Our system is free, fair and flexible–we have 15 years’ experience working with schools and can help meet your district’s specific needs. Already convinced and want to get started? Email us. Before you begin setting up your school events, we wanted to make sure to tell you that we now offer free unlimited seating charts. This is amazing news—you can easily set up assigned seating on theater events, recitals, band concerts and more at zero cost. Seating charts help organize groups, allow you to designate accessible and special seating, plus give parents with parties peace of mind. If you’re interested in seating charts, when creating your event select that you would like to have assigned seating and one of our reps will contact you to guide you through the process. 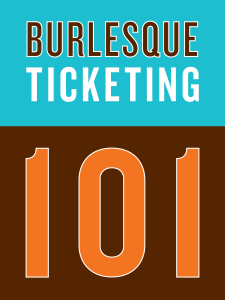 Before you create your event(s), you will need to create a Brown Paper Tickets account. That way, you can save your progress as you build your event page. When you first set up your account, you will be asked to set your financial settings. These settings determine how you will process funds for events and how you will receive payment. Our payment process is flexible – we can set up direct deposit, check, or processor for you. Before you set up your financial information, it’s a good idea to check in with your district accounting department. When you create your event, it will go to our staff to review and they’ll make sure it’s set up correctly. We offer 24/7, multilingual support (English, Spanish, and French) to both event organizers and attendees at 800-838-3006. You will receive an email notice from us when your event has been approved along with your event link. Now it’s time to get students, parents and the local community hyped about your event. Start with pre-coded links and graphics on the “Linking Page” under “Manage Your Events.” Put links and buttons on your district page, on event listings and on other relevant web properties to drive prospective attendees right to registration. Additional tips on how to attract teenagers to local arts events. 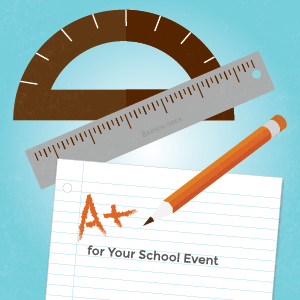 With the right tools and preparation, you can take the stress out of school events. We’re happy to help in any way that we can, just reach out for assistance. Have a fun, stress-free, memorable back-to-school season. Tags: arts, high school, students, theater, youth events. Author’s Note: That’s me wearing Eureka (more about that later). As I mentioned in a previous post, I got to help out at Maker Faire Kansas City. 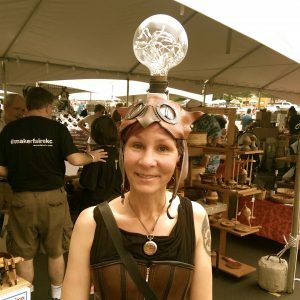 Rather than telling you about my experience as a maker, I’ll leave it to Chad, a business student who attended the faire and calls it a cross between a Renaissance Festival and Comic Con. If you’ve never been to a maker faire, this first-hand account will tell you exactly what to expect. I attended Maker Faire Kansas City (MFKC) at Union Station on Sunday, June 26, 2016. This report is in response to the assignment to attend Maker Faire and write about the experience. I enjoyed MFKC and plan to go again next year. There were many exhibits that appealed to children, science/engineering “nerds,” and art/craft aficionados. (I would consider myself a member of the latter two groups.) In many ways, the event felt like a cross between a Renaissance Festival and Comic Con. There were contests, such as First Robotics and the Egg Drop – where kids used plastic materials to design contraptions to save an egg from a 3-4 story fall. There were costumes with various themes, including Captain America, a pirate and several medieval-looking outfits. One costume in particular caught my attention. The costume, called “Eureka” (see photo), was being worn by Ms. Tamara Clammer, a doer with Brown Paper Tickets. Eureka features a GE Mazda hand-made lightbulb and was entered into the Second Use Art & Design Challenge in Seattle. MFKC was a showcase of entrepreneurship in Kansas City. The vast majority of booths at MFKC were local small businesses. A few examples that I perused or purchased from included Built KC, a custom woodworking and design firm owned by two brothers and located in Shawnee, Kansas; Reinke Arts, owned by twin brothers that create photo-real artwork based on movies, TV and comics; and Nether Fable Designs, a 3D-printing service company based in Kansas City, Missouri that offers pre-printed items as well as custom printing and designing. Additionally, there were booths sponsored by larger entities, such as Radio Shack and UMKC, and one small business that I saw, Poly’s Pleasures custom chainmail jewelry, hailed from Brighton, Colorado. Many of the products were interactive, and the show gives entrepreneurs a chance to interact closely with many potential customers in an entertaining atmosphere. Kids and adults alike were captivated by 3D printing and robotics, artwork, hands-on creative activities, virtual reality and science demos, such as a man-sized Faraday cage beside an actual operating Tesla coil that generated streaks of lightning that would arc to the cage or to the beam above. I thoroughly enjoyed the Faire, both from consumer and entrepreneur student perspectives. I have already shared the experience with some of my friends I think would enjoy this show, and I plan to get them to go with me next year. And I purchased a couple of art pieces at MFKC and may have a custom board-game table designed, so friends may need to be forewarned that the Faire can be a bit dangerous for impulsive shoppers.